After the kill Maya takes the spotted deer into the water and immerses it. Probably to make the skin softer to rip open and eat. The deer is already dead by now, so definitely not to drown and kill it. 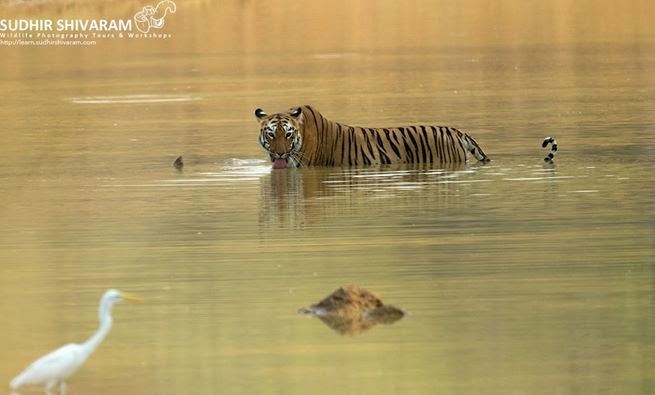 If any one has any other inputs why the Tiger may have immersed the deer into water, would love to hear it. She then waits for some time, drinks water and relaxes in the water. More images in the evening where it takes it out and finally disappears into the grass.